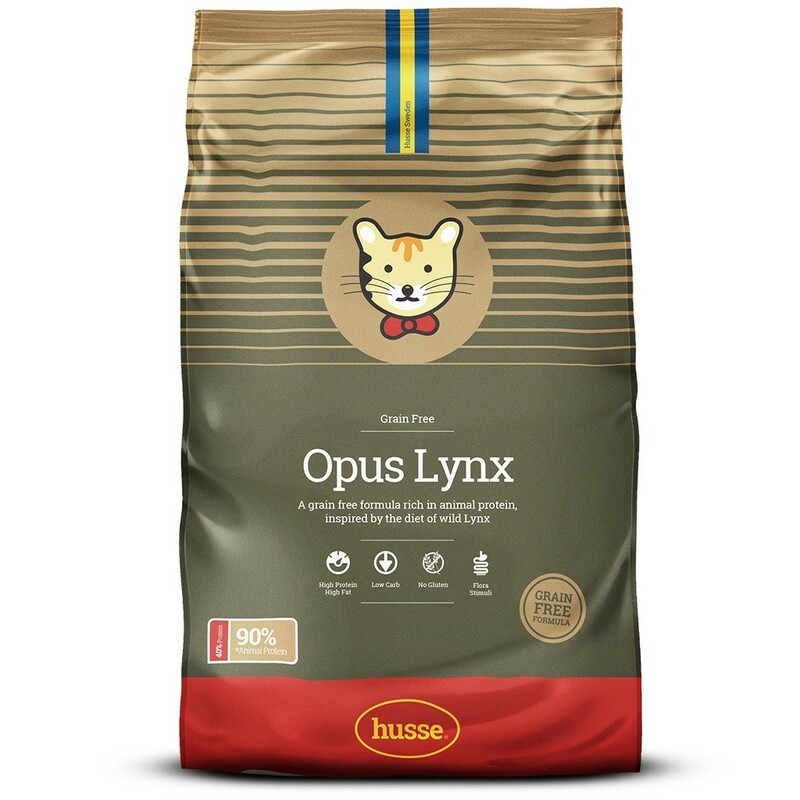 Opus Lynx (chicken and potato) is a complete cat food: a grain-free formula rich in animal protein, inspired by the diet of wild lynx. It is suitable for cats whose owners prefer to give a grain-free formula, based on chicken and potato and is also suitable for cats with sensitive digestive systems. The product contains carefully chosen raw materials of the highest quality. No colourants, preservatives, gluten or cereals. Grain and gluten free formula, based on chicken and potato. Highly digestible with carefully selected ingredients. Potato is a highly digestible energy source and is a gluten free ingredient. Inspired by the diet of the wild lynx: high in protein and fat, low in carbohydrates. Leave the dry food where your cat can reach it any time. Cats eat often in small quantities. You can serve the dry food plain. For daily ration see feeding table. chicken, potato, animal fat, peas, hydrolysed animal protein, vegetable fibres, salmon, salmon oil, brewer’s yeast, minerals, fructo-oligosaccharides (0.3%), dried whole eggs, lecithin (0.1%), yucca (125 mg/kg), Tagetes, rosemary, green tea.